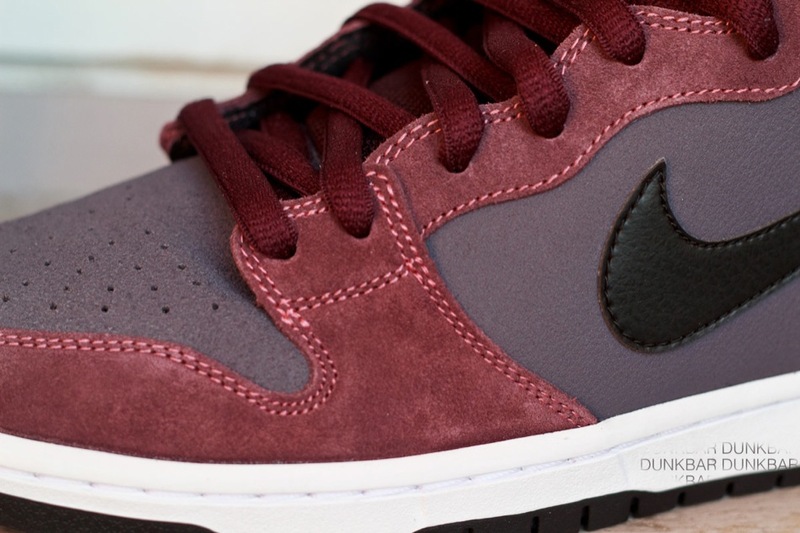 Deep burgundy takes over this April 2012 release of the SB Dunk High. 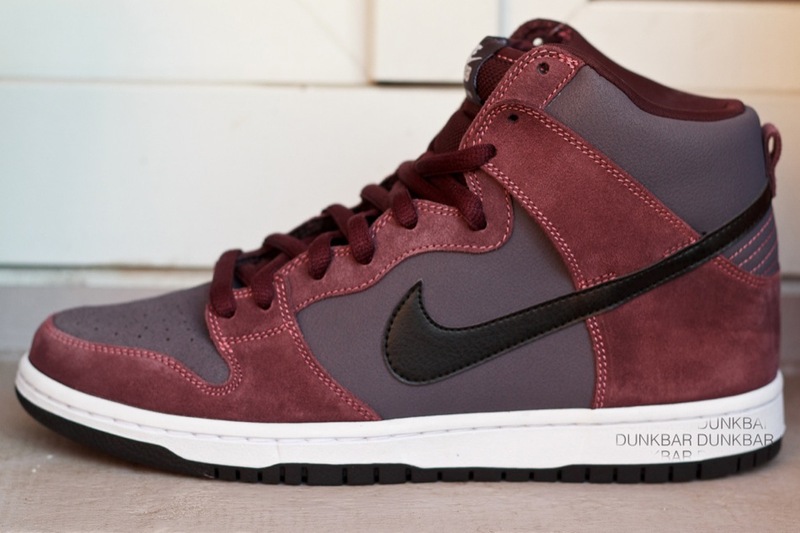 The clean looks will continue well into 2012 for Nike SB, with this recently revealed Dunk High set to arrive in April. Utilizing a classic combination of materials, we see suede and premium leather building the upper. 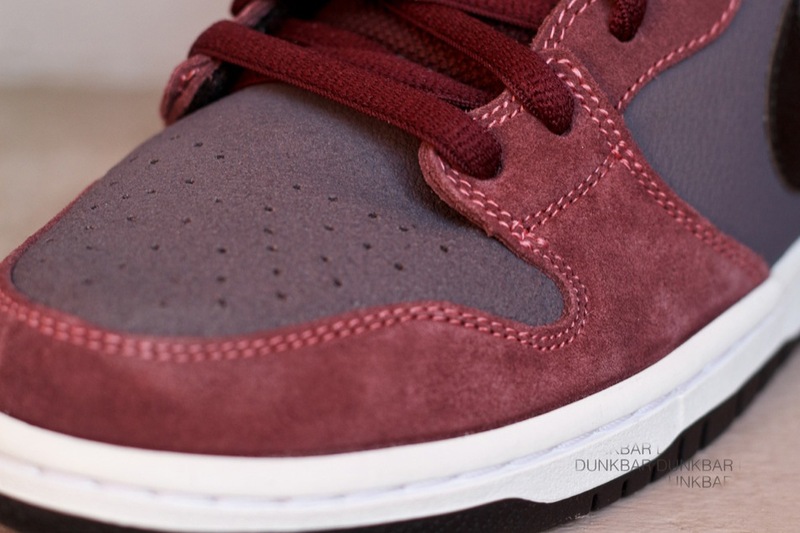 Deep burgundy suede runs along the toe, eyelets and heel panel, while purple covers the smooth leather underlays. Black covers the Swoosh, as well as the outsole down below. 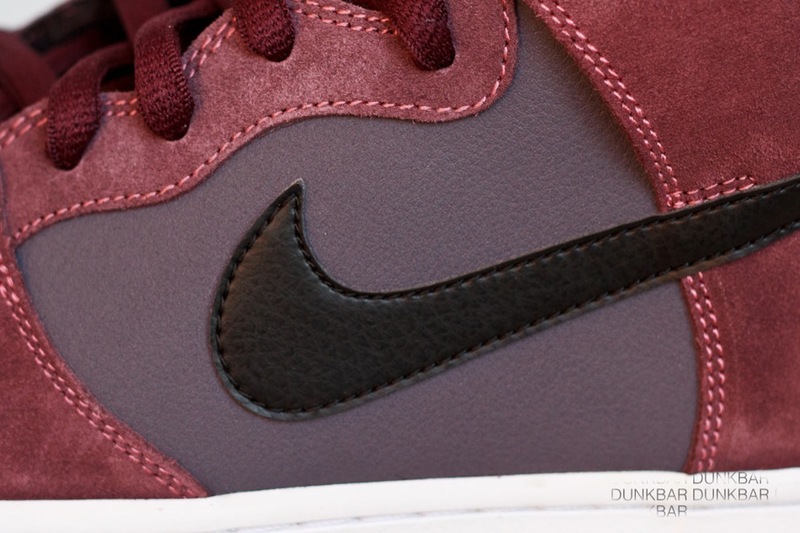 Look for the "Deep Burgundy" Nike SB Dunk High to hit select skateshops next April.